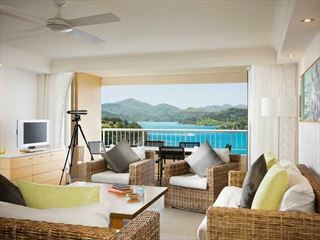 Hamilton Island Palm Bungalows, The Whitsundays, Australia. Book today at Australian Sky. 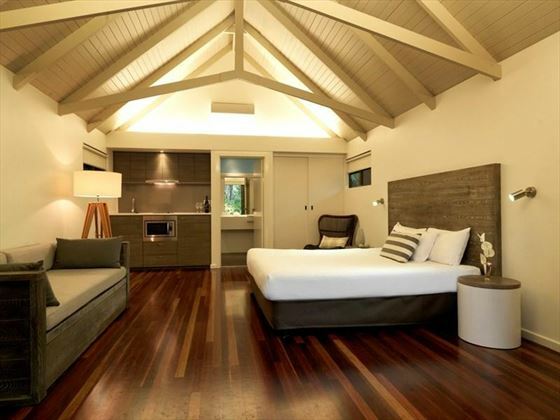 Nestled in the lush, tropical gardens of Hamilton Island, the Palm Bungalows are the perfect way to enjoy a relaxed, secluded holiday. 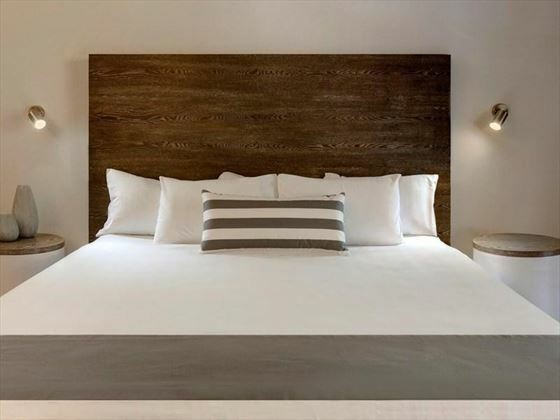 Only steps away from Catseye Beach, delicious restaurants and hilltop bars, honeymooners will love the romantic setting of these quaint, inviting bungalows. 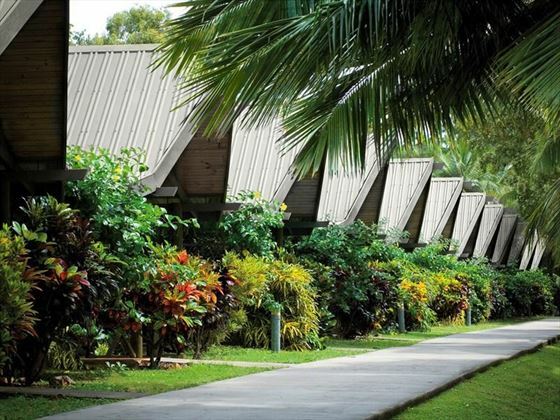 Part of Hamilton Island’s resorts, the Palm Bungalows are located in the resort’s tropical gardens, only a short walk from Catseye Beach. 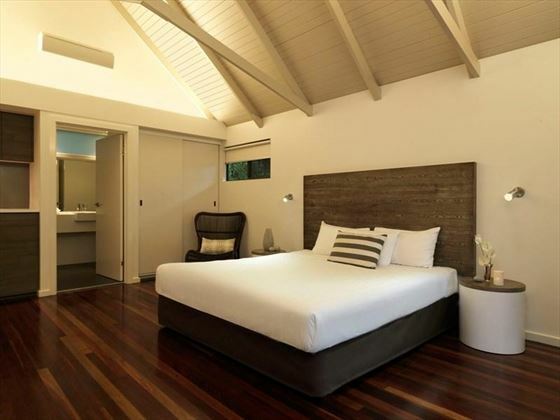 There are 49 bungalows, all free-standing and located in the tropical gardens around Hamilton Islands. 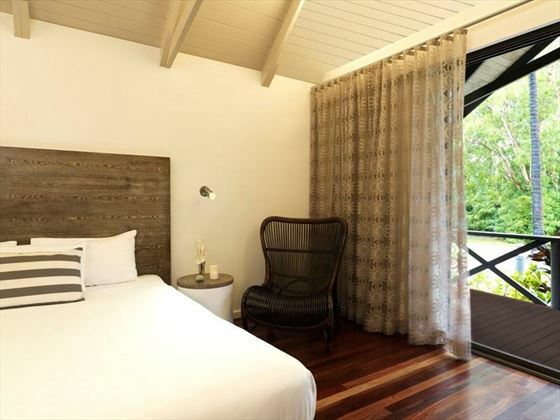 These quaint bungalows are perfect for couples who desire a unique honeymoon. They have access to most of the resort pools, and they are close to the beautiful stretch of Catseye Beach, perfect for romantic walks. 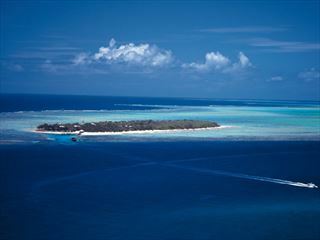 Enjoy the natural beauty of the exclusive Heron Island at this gorgeous resort of the same name. Nestled in the heart of the Great Barrier Reef, this resort is perfect for couples, families and groups, with luxurious facilities and excellent snorkelling, wildlife and scuba diving opportunities. 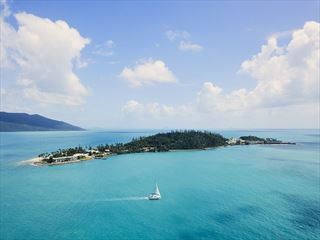 Head to Hamilton Island Reef View for a family holiday to remember, with gorgeous views of the Whitsunday Islands and luxury amenities for everyone to enjoy. 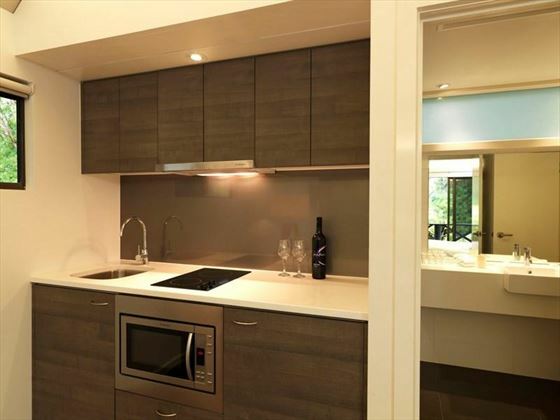 A fantastic resort located on the secluded Daydream Island near the Whitsundays. With an outdoor aquarium, a beachfront cinema, a revitalising spa and even more fun activities, this is certainly an exotic oasis.